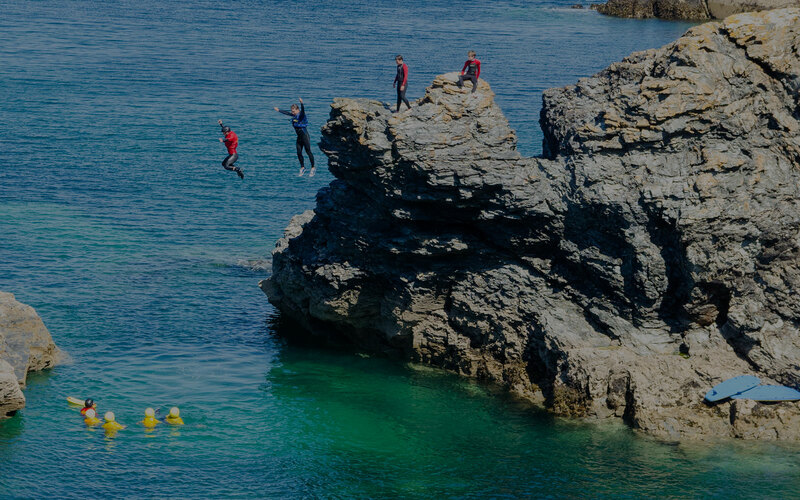 Welcome to Overshoot, based in Cornwall, we offer a wide variety of aerial and ground filming and photography solutions throughout the South West and the rest of the UK. For aerial filming and photography we use unmanned aerial vehicles, otherwise known as UAVs or drones and are qualified and certified to fly drones commercially by the CAA (we have both day and night permissions). For ground based filming and photography we have a variety of high resolution cameras and associated equipment. We can film in UHD 4K and can provide high resolution photographs for property and real estate, travel and tourism such as holiday properties, hotels, golf courses etc, construction projects, land and building surveying, agriculture and more. 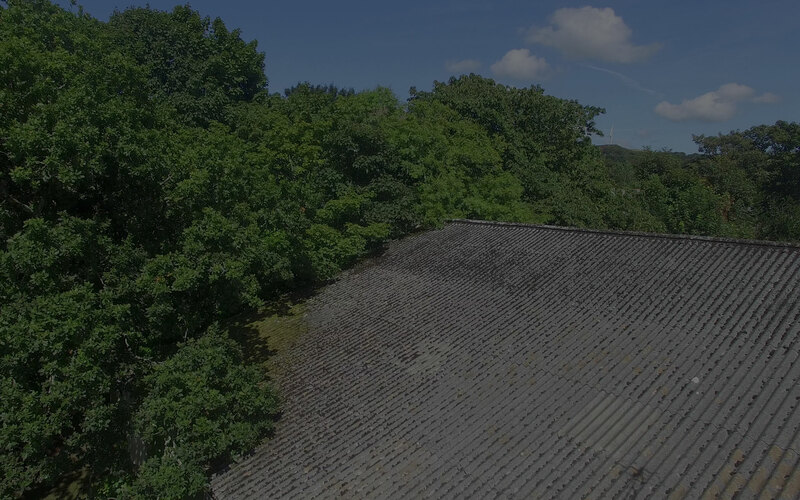 We are specialists in promotional videos for business and combine ground based videography with aerial drone footage to get the perfect results. If you are looking for a CAA approved drone pilot in Cornwall don't hesitate to get in touch... we'd love to talk to you. Overshoot is certified with Permission for Commercial Operations (PfCO # 3455) from the CAA (Civil Aviation Authority) which permits us to operate UAVs / drones commercially including night operations and we have full commercial public liability insurance. Using the latest technology we can provide both ground and aerial drone film and photography for a wide variety of businesses and purposes, for video productions we can combine aerial drone footage with ground based video footage to make your business really stand out. 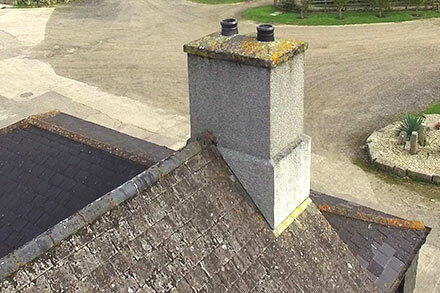 We can give your business a new dimension and create promotional videos combining ground based and aerial footage. Perfect for all types of business. 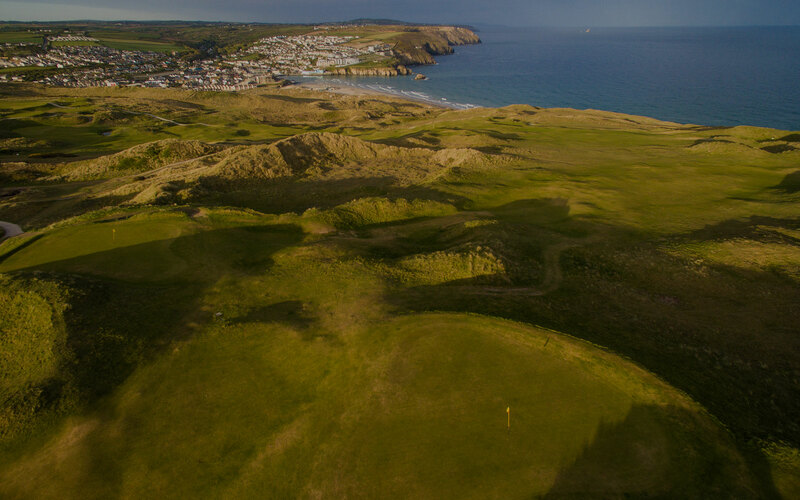 We can provide aerial photography services for property owners, golf courses, travel and tourism and more. If you need aerial photographs we have the answer. 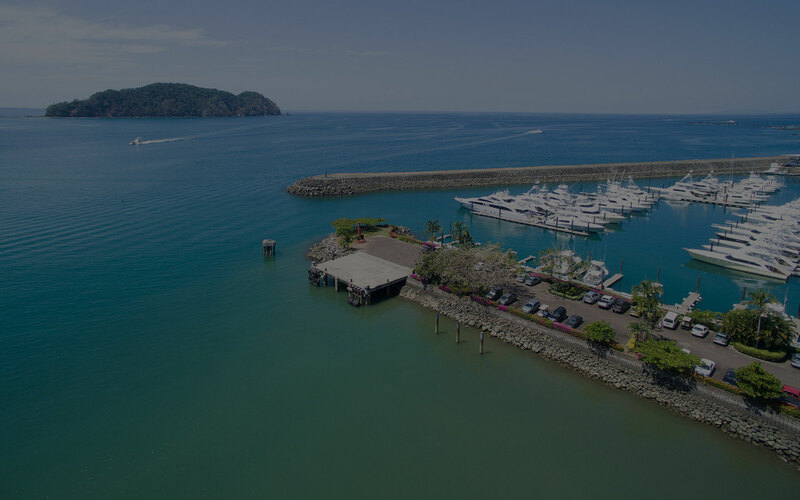 We can inspect roofs, buildings, bridges, boats and more. Inspections are quick and efficient with live results and no requirement for scaffolding... saving you time and money. Whatever your need for aerial video or photography please get in touch, we'd love to hear from you. We can film your property in Ultra HD 4K resolution and combine ground based video footage with aerial drone footage for maximum effect. Great for all types of properties including holiday cottages, hotels, golf courses, caravan parks etc. 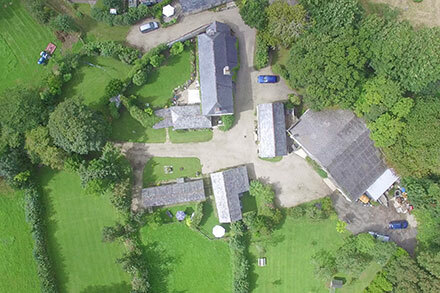 We can also take aerial photographs of your property using drones, if you are selling your property this will really set you apart from the competition. Naturally, if you have any questions regarding our ground based or drone aerial film and photography services that are not answered here or you need further information please feel free to call on 01872 553842 or 07967 704191 or send us an email. DO YOU HAVE CAA APPROVAL TO OPERATE? Yes, Overshoot pilots have completed the necessary ground school and passed the required exams and flight assessments and have approval to operate from the Civil Aviation Authority (CAA) during both daylight hours and at night. As a company we also have an Operations Manual that has been approved by the CAA. This Operations Manual includes all our operating policies and procedures regarding safety etc. Yes, we have full commercial liability insurance. Details are available on request. When you contact us, initially we will assess your location for suitability and to ensure that any flight(s) can be made safely and legally in accordance with CAA regulations. If we determine that flight(s) can be made safely and legally then we will perform a desk based risk assessment initially followed by a full site survey. Depending on the complexity of the assignment the site survery may be made on the day of the flight(s). A more complex assignment may require a site visit prior the day of the flight(s). Yes, before we undertake any assignment we will carry out a desk based risk assessment and prior to any flight we will thoroughly assess any risks at the location and mitigate those risks as necessary. Though there is always an element of risk with any form of aviation, we always put safety at the forefront of any assignment and are fully trained and experienced. We are limited to a height of 400ft (120m) above ground level by law and we will not go higher than that under any circumstances. We generally fly at far lower heights though and never need to go higher than 400ft. As professional drone operators we will always adhere to these rules laid down by the CAA where drones can and cannot be flown, so the simple answer is no, we can't just fly our drones anywhere. We will be able to give you a very good idea of whether we can legally fly at the location you require after your initial contact however. For safety reasons we do not fly in certain weather conditions such as in rain or in high winds. We regularly check the weather prior to an assignment and will keep in touch with you regarding this. If the weather dictates that a flight cannot safely be made then we will discuss this with you and may need to reschedule. DO YOU OFFER FILM EDITING AND POST PRODUCTION WORK? Yes, we are highly experienced using Adobe products including Adobe Premiere, Lightroom and Photoshop and can provide professionally edited video footage with music as well as edited and enhanced photographs. 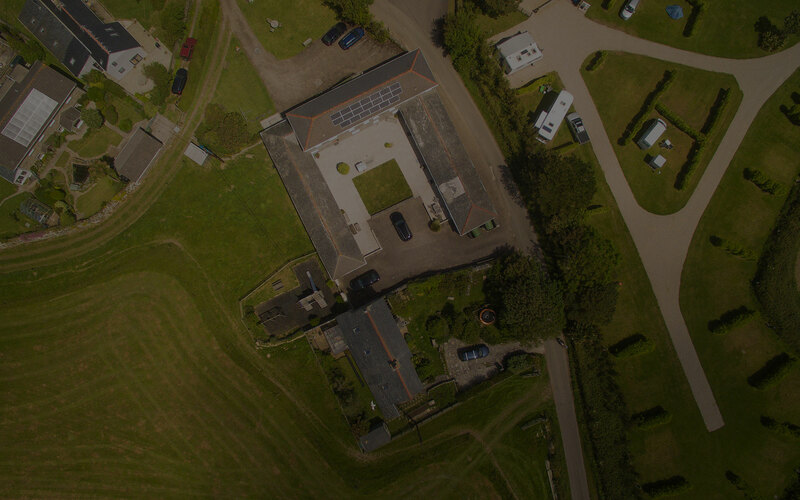 Overshoot are CAA approved drone pilots in Cornwall offering both aerial and ground based film and photography services throughout Cornwall & Devon as well as the rest of the South West and the UK. We are CAA certified commercial drone pilots for drone operations during both day and night and are fully insured.